Despite predictions for a slight drop, we actually saw a surprise climb in Eurozone economic sentiment during November from 100.7 in October to 100.8. That may signal confidence in the ECB's plans to bolster growth and inflation amid a larger than expected fall in German unemployment. Nonetheless, the shared currency declined by 39 points versus the US dollar to $1.2467. Keen to kick-start a wide array of projects, the European Union has come up with an investment plan worth €315 billion. 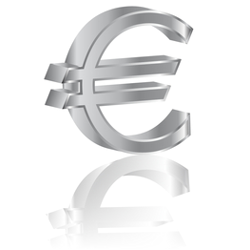 For this effort the currency markets rewarded the euro with a 33 point gain against the dollar to $1.2506. With confirmed expectations for a slim rise in German GDP of 0.1%, the shared currency rebounded from a two year low against the US dollar. The recent dip below the $1.24 mark managed to attract enough buyers despite the fact that the European Central Bank is considering boosting its monetary stimulus. This resilience saw the EUR/USD pair gain 32 points to $1.2473, but the US economy is still miles ahead in the recovery game. European Central Bank Governing Council member Weidmann expressed his concerns in regard to purchasing government debt which might face legal challenges. The comments came as a reminder that, despite reassurances from the central bank about its firm intentions, delivering results might be a different matter. As a consequence, the shared currency rose by 75 points versus the US dollar to close at $1.2441. In his speech, European Central Bank President Mario Draghi reiterated his willingness to do what is necessary to raise inflation. However, if they do decide to further increase the size of their balance sheet, the ECB must undoubtedly expect further weakness for the single currency. This was the case again on Friday, with the euro losing 148 points versus the US dollar to $1.2392 and giving back the tiny gains made over the past two weeks.